Mr. Asashirô Hosonuma’s jewelry company Kinkôsha started in the pen business by producing high quality nibs for other companies around 1911. 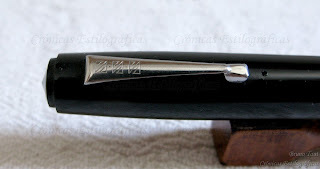 Some years later, the company was renamed as Hosonuma Shokai and included pens in its catalog under the brand SSS, San-essu, "three S" in Japanese. This brand became one of the top three in Japan before the Second World War, together with the Japanese Swan and the well-known Pilot-Namiki. But the company disappeared in the 1950s unable to compete in the post-war Japanese market, overflown with pen companies. 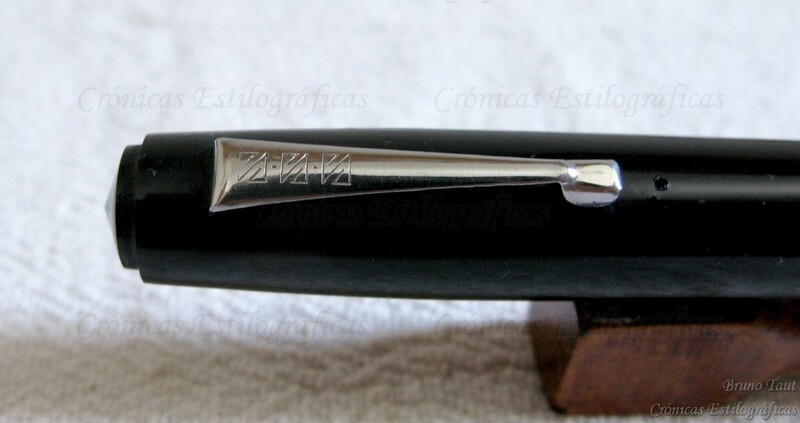 This hard rubber pen is a nice example of a 1930s pen by SSS. 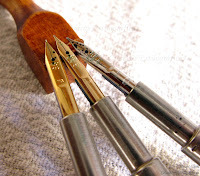 It uses a shut-off system to seal the eyedropper ink deposit—all very Japanese. 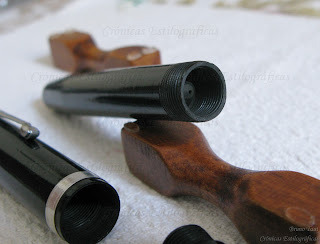 Inside the barrel, the conical seal of the shut-off valve. The nib is made of steel due to the war restrictions (the Sino Japanese war had started in 1931) in the use of gold. This led to the creation of the so called shiro nibs (shiro means "white" in Japanese). As many of them, this one is fairly flexible and has a very fine point. The flexible shiro nib in size 4. 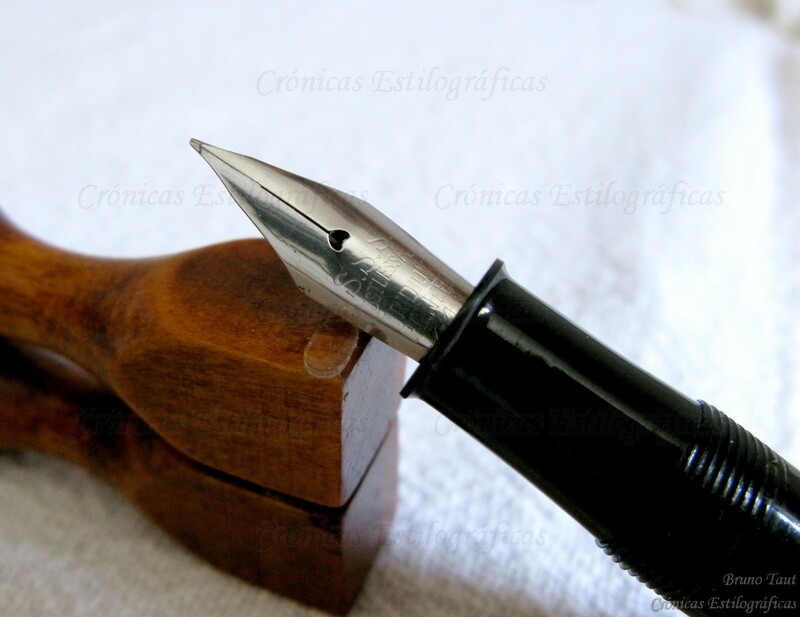 The brand name is engraved on both the nib and on the barrel. The clip sports the company logo. It is not difficult to find SSS pens in the second hand market in Japan. PS: I am having serious troubles uploading images to this blog server. Blogger is certainly NOT what any blogger expected.